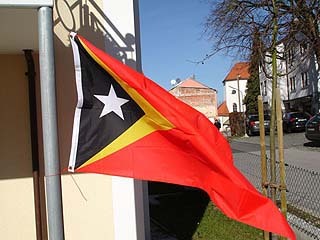 The new East Timor flag was officially adopted on May 20, 2002. The yellow triangle represents its prior colonial history, the black triangle represents the prior obscurantism, while red is symbolic of the struggle for liberation, and the white star is symbolic of peace. 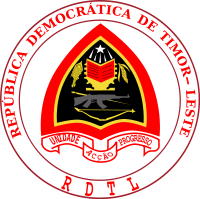 East Timor's coat of arms was introduced in 2007, and is derived from the first design used by the country in 1975. 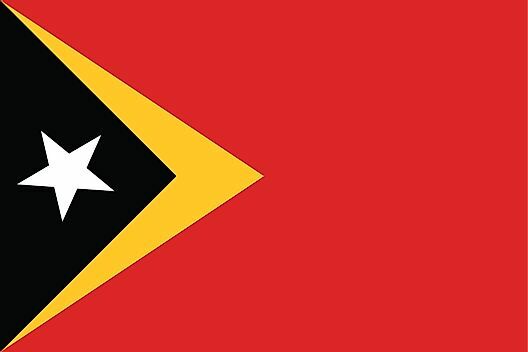 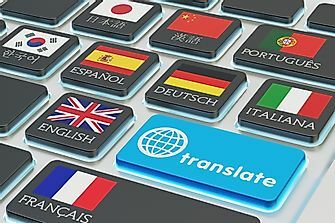 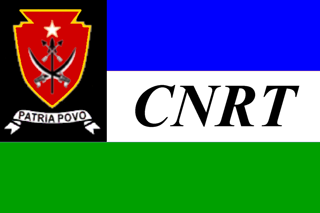 The country's motto "Unidade, Accao, Progresso" ("Unity, Action, Progress") is depicted in Portuguese below the shield, and the name of the country makes up the outer border.